Presented at the Austrian Economics Meeting 2017 in Krakow, Poland. Submitted as coursework for ESH4075 at the University of Glasgow. Submitted as (ungraded) coursework for ESH4002P at the University of Glasgow. 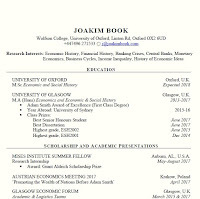 Submitted as coursework for ECON4015 at the University of Glasgow. Submitted as coursework for ECOP3019 at the University of Sydney. Submitted as coursework for ECOP3601 at the University of Sydney. Submitted as coursework for ECOS3004 at the University of Sydney. Submitted to University of Sydney Wentworth Medal 2015. Presented at the Austrian Economics Meeting Europe 2015 Conference in Vienna, Austria. Submitted as coursework for ESH2002 at the University of Glasgow. Submitted as coursework for ESH2001 at the University of Glasgow. Valle del Uco and the Walk of Shame: a reflecting piece about alcohol industry I wrote for the IOGT International Blog (2013). Buenos Aires - Alcohol Around the Clock: a descriptive blog post for IOGT International Blog (2013). En Vecka i Alabama: a reflective blog post I wrote for Swedish blog Tebjudningen.se after having visited Mises University (2014). Lagförslagen Underminerar Rättsväsendet: a news article I wrote for Latinamerika.nu, a Swedish news agency focusing on news from Latin America (2013). The Story of How I Embraced Feminism - and Why I Want to Reject it: precisely what it says (2013), the way-too-long story of my progression in thinking about feminism. Beautiful or horrible, this is it. Notes for Talk on Sweden's Progressive Myths @ Club Redfern, Sydney (September 20, 2015).